I’ve yet to see ‘Submarine’, Richard Ayoade’s directorial debut adaptation of Joe Dunthorne’s coming-of-age novel; so for me this is new territory. Before sitting down to write this review I had to scrub away my memories of Ayoade the comedy actor, and all the work he’s done in ‘The It Crowd’, ‘Garth Marenghi’s Darkplace’ and ‘The Mighty Boosh’. I refuse to acknowledge his appearance in ‘The Watch’, or even admit that I actually took time to sit through that god-awful movie. 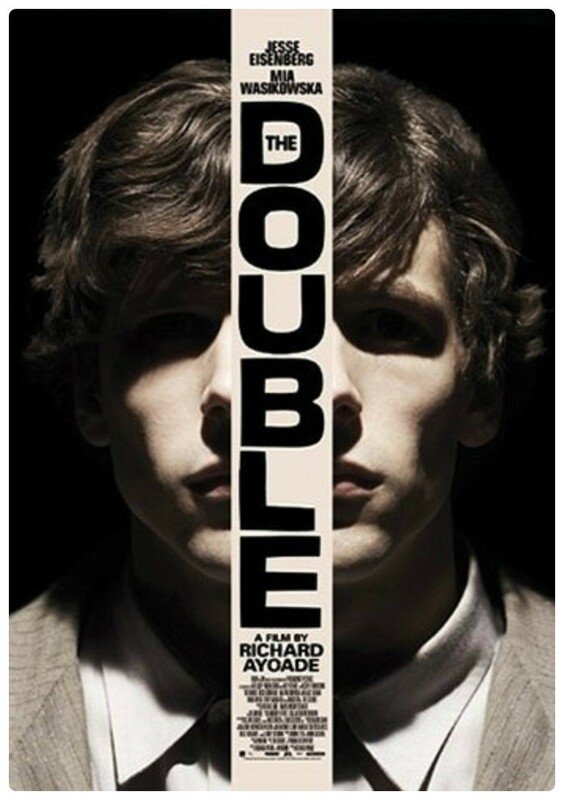 At first the quirks of ‘The Double’ reminded me of Wes Anderson, Hal Ashby or Bruce Robinson. There’s a wonderful DIY dystopian quality about the film with props seemingly brought from car boot sales and acquired after scavenging Gumtree giveaways. It looks bleak and mundane but fantastically reflects the humdrum existence of the film’s protagonist. Jesse Eisenberg starts as Simon James, a clumsy down on his luck office worker who’s stuck in the daily grind. Eisenberg spends most of his day working, visiting his ailing Mother and spying on Hannah (Mia Wasikowska), the pretty blonde girl from the office who lives across the street. Simon watches Hannah through his telescope which feels tender rather than creepy. He’s an observer of sorts; equally as helpless as James Stewart in ‘Rear Window’, only his handicap is not a broken leg but some form of social anxiety. Simon is not appreciated by anyone and stumbles through each day. Moments of happiness seem fleeting for him. He retrieves scraps of art that Hannah throws down the rubbish chute and enjoys watching a corny sci-fi show on his TV. Simon’s life changes dramatically when a new employee begins working at the office, a man named James Simon who looks identical to Simon. Simon is frustrated that nobody notices the obvious resemblance between the two. His colleague tells him that he didn’t notice the similarity because Simon is a “non-person”. As James becomes more and more successful and popular, Simon becomes increasingly more invisible. James is the opposite of Simon. He’s confident, bordering on arrogant and knows how to charm the pants off everybody. There’s a wonderful little scene in the café that Simon frequents where the moody waitress is given a taste of her own medicine by James. Simon is shocked by James’ assertiveness. He’d never have the confidence to do order bacon and eggs. Ayoade is able to make this movie nightmarish, but at the same time the film is frequently sprinkled by some delightful moments of humour. 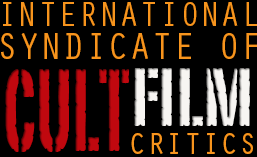 Ayoade’s eye for detail blends well with wonderful contributions from a host of strong character actors like Wallace Shawn and Noah Taylor, and cameos from the brightest talents of British comedy like Tim Key and the legendary Chris Morris.